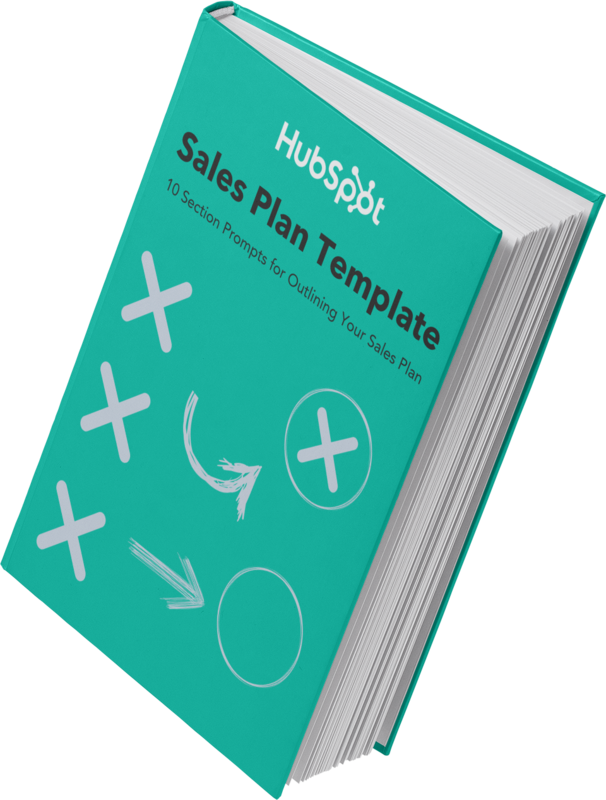 Outline your company's sales strategy in one simple, coherent plan. Real estate is a linchpin industry in our society. People need to buy and sell property, and they need experts to help understand and manage the transactions. In the past decade or so, software and websites have amended the traditional real estate process. But regardless of how much technology advances, it’ll never replace the real estate middleman — the agent. Why? Because as important as real estate is to our society, it remains an enigma to most consumers. Between the various laws, paperwork, and best practices, there’s a lot that goes into buying and selling property. That’s why we’ve compiled this guide, and our reasoning is twofold: to help consumers better understand the real estate process and to equip real estate agents to better market their business. We believe this guide can help both — especially those consumers considering real estate as a career choice. If you’d like to learn about a specific topic, feel free to use the chapter links below to jump ahead. Otherwise, keep reading to learn more about real estate. Real estate is defined as the property and buildings on a specific piece of land. It also includes the air and underground rights above and below the land, respectively. The term “real estate” means real, or physical, property. As a physical entity, real estate includes four different categories of property. Residential, which includes new construction and resale homes. You probably know residential real estate as single-family homes. This category also includes condominiums, townhouses, duplexes, and vacation homes. Commercial, which mostly includes places of business. This category includes shopping centers, strip malls, hospitals, colleges, hotels, and offices. Apartment buildings are often considered commercial, even though they are technically residential, because they produce income for their owners. Industrial, which includes manufacturing buildings and warehouses used for research, production, storage, and product distribution. Land, which includes working farms and ranches. It also refers to vacant land, such as undeveloped land and land on which homes or buildings are being assembled. It’s important to understand the different types of real estate because the sale and purchase of property differ depending on its type. Other processes such as zoning, construction, and appraisal are handled independently, too. Because these categories and their rules and regulations are so different, real estate agents typically specialize in one specific type. Next, we’ll talk more about real estate agency below. Who Works In the Real Estate Business? The real estate industry is complicated, and a lot goes into each transaction. For this reason, there’s a multitude of people involved in the process. If you’ve ever bought or sold property, you’ve likely worked with some or all of these specialists. The real estate agent acts as a liaison between buyers or sellers and the industry itself. They’re responsible for finding potential property, listing property, negotiating prices, and much more. While some agents work with both buyers and sellers, most specialize in one or the other. This is because the responsibilities of each are very distinct. For residential sales, listing agents typically make 3% of the gross sale price, paid by the seller(s) — who pay another percentage to the buyer's agent. For example, listing contracts written are for X% with X% offered to the cooperating agent. On the other hand, the buyer’s agent works with people looking to buy real estate. They’re responsible for finding potential property, organizing showings and walkthroughs, negotiating on behalf of their clients, and assisting during the purchase and closing process. Buyer clients typically don’t pay for working with a buyer’s agent. If they successfully organize a real estate transaction, buyer’s agents make 3% of the gross sale price, also paid by the seller. The real estate broker is considered one step above the agent. (Similar to the square/rectangle analogy … a broker is an agent, but an agent isn’t a broker.) Although the rules vary from state to state, brokers typically have more education and licensing than agents. Because of this, brokers can form their own real estate brokerage and hire agents as salespeople. The mortgage lender is a financial institution that gives you money to fund your mortgage loan. When purchasing real estate, it’s encouraged to get pre-approved for a loan before touring and bidding on real estate. Real estate buyers will likely work closely with a mortgage lender before looking at homes or property. The appraiser works independently of the buying and selling party to determine the value of property. The appraiser is typically chosen by the mortgage lender as it’s in their best interest to get the fair and accurate value of a home or building. The property must appraise for the agreed-upon contracted sales price in order for the lender to grant the loan. From conducting a room-by-room walk-through to reviewing exterior and interior conditions, the appraiser does most of their job on-site and reports back to the lender. Whereas appraisers are hired by lenders to determine the monetary value of a property, inspectors are hired by potential buyers to determine the structure, safety, and possible defects or damage in a home. It’s a lengthy process; inspectors are responsible for reviewing a list of 1,600 things when looking over a building. Real estate attorneys help buyers or sellers understand the legal documents with which they’re presented throughout the real estate process. Depending on the type of property and people involved, the specific steps within each real estate transaction might fluctuate a bit. But for the most part, the majority of transactions look the same. For the sake of continuity and simplicity, we’re going to use a residential transaction to outline the real estate process. 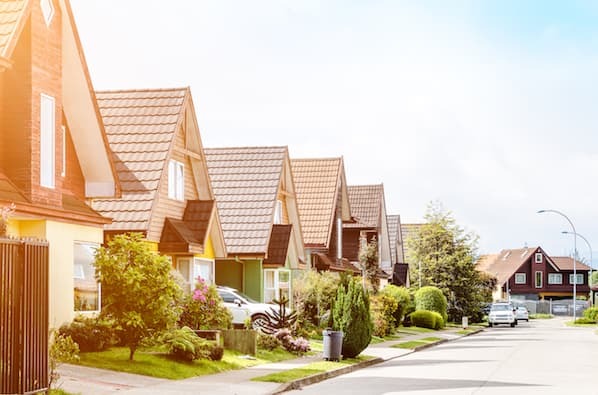 Commercial and industrial transactions follow a comparable process, but the residential process is likely the most relatable among consumers — given that almost 65% of U.S. families own their residence. We’ll cover both the seller’s and buyer’s perspectives below. When someone decides to sell their home, the first thing he or she might do is hire a listing agent (unless they decide to sell it themselves as a For Sale By Owner — which we'll explain later). Historically, clients have found their listing agents through personal recommendations or a local advertisement in a newspaper or flyer. Nowadays, some sellers find their agents through online means, like social media, online advertisements, or sites like Zillow or Trulia. We talk more about some of these methods in the next section. Listing agents typically give a listing presentation. This pitch will also highlight how they’d price and market your home, what their commission structure is, and other competitive advantages. This helps clients decide which agent is the best fit. When someone decides to buy a home, he or she might do one of two things: secure a buyer’s agent who can help them discover and shop for property, or start shopping for property themselves, choosing to hire an agent after they’ve found a property they like. There’s no right or wrong way to go about hiring a buyer’s agent, although an agent might introduce you to potential properties you might’ve not otherwise found on your own. Interviewing and securing a buyer's agent at the beginning of the real estate process can be much more rewarding than simply letting the listing agent take care of both sides. Buyers can benefit from representation, too. … determining the price of your home, which your agent can assist with. This is calculated using your home’s location, condition, amenities and upgrades, and the price of similar properties. Agent’s will compile a comparative market analysis (CMA) to help you understand how and why your home is priced. … entering your home into the Internet Data Exchange (IDX), which your agent has access to. The IDX brings together real estate listings from all over the country. It enables members of the multiple listing service (MLS) to share and market their properties to other agents and potential buyers. … hosting open houses and showings with buyers. While real estate photos (and investing in a professional photographer) can help homes sell faster, open houses and showings give potential buyers a first-hand look at your home. These in-person experiences also allow buyers to ask questions and express concerns — saving both parties time and energy in the long-run. Some agents may opt to create real estate videos and virtual staging opportunities for your home, too. Some sellers opt to sell their home themselves, which is referred to as For Sale By Owner (FSBO). FSBOs theoretically save sellers commission money (since seller clients pay both the listing and buyer’s agents), but in turn, they don’t get access to CMAs, the IDX, or any agent knowledge or marketing. In some cases, FSBO sellers may pay a cooperating commission to the buyer’s agent working with whomever buys their home. As a buyer, this step would involve researching and viewing property. Some people use sites like Zillow or Trulia to find potential homes within their price range while others rely on their agent to discover property and schedule showings. Typically, buyers will attend open houses to get a feel for a property and its location, condition, and amenities. Then, they’ll schedule dedicated showings with their agent (or the listing agent) at which they’ll walk through the property and ask more specific questions. Recall how we mentioned that buyers should be pre-approved for a loan before searching for homes. Why? Because if a buyer views a home they want to buy, they should be prepared to place an offer on the spot … especially in a highly-competitive housing market. If someone were to view a property they liked then seek out loan pre-approval, the process could take weeks. No seller would wait that long if they have other offers. Let’s say you’re selling your home, and someone wants to buy it. What happens then? Well, firstly, the potential buyer would place an offer on your home. This offer could be exactly at asking price, below or above, depending on how competitive the market is and how desperate you and/or the seller is. Then, you’d consider the offer, consult with your agent (if you have one), and accept or deny. There could be a little back-and-forth, or both parties could immediately agree and immediately sign a sales contract. As the seller, the next few steps don’t directly involve you. At this point, the buyer’s would submit his or her earnest money, order an inspection of your home, and work with their mortgage lender to secure an appraisal and set up their mortgage. You might have to address any concerns or questions during this period, but for the most part, you sit back and wait. The next time you see the buyers will be at closing. A home closing is basically a fancy term for when the property title is transferred, the down payment is made, and the seller and buyer’s names are signed a bunch of times. After closing, you’d hand over the keys and be on your merry way … albeit thousands of dollars richer. We already know you’ve made an offer that’s been accepted, and you’ve signed a sales contract. What happens now? Well, the bulk of this process involves you making sure the house is exactly what you want to purchase — and you have to do all of this within the timeline spelled out in your contract. First, you’d submit your earnest money. This tells the seller, “Hey, we’re serious about this purchase.” FYI, earnest money is not your down payment — that goes to your mortgage lender. It’s held until closing and is credited to the buyer. Next, you’d order an inspection to see if there are any repairs that should be done before closing. (The party responsible for the repairs is to be negotiated between the sellers and buyers.) At the same time, you’d alert your lender that you’re under contract and begin the paperwork to secure your loan. After the inspection is complete, you and your lender will order an appraisal to ensure the value of the home matches your offer and mortgage. You’d research and order home insurance (often required by lenders), and schedule your utilities and closing. At closing, you’d bring proof of your mortgage, home insurance, and any required documentation to assume the home title and sign all required documents. Voila! The home is yours! So, we’ve covered the real estate process from the perspective of both buyer and seller. What about the real estate agent? Agents and agents-to-be, we haven’t forgotten you. This section is dedicated to one of the most important parts of your job — marketing your homes and yourself (and your real estate business). Pause. What do you mean “myself”? Well, being a real estate agent is sort of like being your own entity. You may represent a brokerage or larger firm, but for the most part, you have to sell yourself as an agent, knowledge base, negotiator, marketer, financing guru, and industry know-it-all. Your clients will rely on you for one of the biggest transactions (both financially and emotionally) of their lifetime. You have to be, in their eyes, the best. Better yet, the more you market yourself, the more you inherently market the homes and properties you represent. It’s a win-win! Real estate is a unique industry when it comes to building a marketing strategy. Some industries and businesses focus solely on digital marketing methods, while others invest in traditional tactics like postcards and billboards. In real estate, you’ll likely do all the above. For the most part, the majority of agents don’t define a target audience for their marketing strategy — they simply want clients and buyers. The wider the net, the more people they’ll attract, and the more revenue they’ll bring in and homes they’ll sell. So, let’s talk about the different ways you can market as a real estate agent. We’ll break it up by type of marketing and discuss both inbound and outbound methods. The world of digital marketing is seemingly endless. Does this mean you should invest in each and every marketing opportunity? Not quite, especially if you’re a new agent. Start out with a few of these strategies and then expand as your commission allows. A website builds awareness around your personal brand as an agent and markets the homes you have for sale. More buyers and sellers are online than ever before; online leads alone increased by 65% from 2016 to 2017. If you’re not online, you’re missing out on revenue and clients. Having an online presence as a real estate agent also speaks volumes about your legitimacy and how seriously you take your job. At the minimum, it should have information about yourself (including a stellar bio), how to contact you, and any homes you’re currently selling. Running a blog is another way to attract clients, build trust with visitors, and prove your real estate expertise. Also, the mystery and complexity of the industry can play to your advantage. Your visitors and clients will inevitably have questions … and your real estate blog can hold the answers. Consider making your blog part of your website. This will keep visitors on-site and further market yourself as an agent. When you start your blog, post as often as want … but however often you choose, be sure you can keep a consistent cadence. Need ideas? Pay attention to the questions your clients are asking or perhaps blog about a home that you’re selling. Did you know that over 90% of agents use social media to some extent? 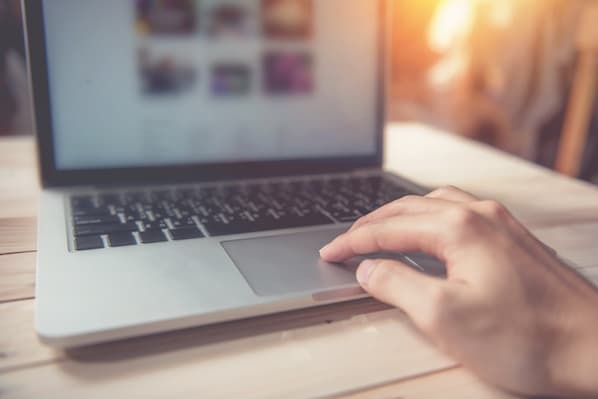 Social media is pretty much a non-negotiable in the real estate world, and there are plenty of ways to leverage social media for your marketing. A dedicated page on Facebook can help you connect with potential clients, market your homes, and share your blog content, and an Instagram account gives you a place to share those high-quality real estate photos. Social media is also a great way to connect with clients personally. As an individual marketing his- or herself, it’s important to create personal, emotional connections in an effort to get business. When it comes to buying or selling a home, clients don’t just need to know that you can do your job; they need to know that they can trust you, too. Email is another great way to market to clients, regardless of their demographic or stage in the buyer’s (or seller’s) journey. Whether they’re actively looking for a new home or you simply have their email address from an online form, email can help you stay connected and top-of-mind. One great way to do this is through an email real estate newsletter. Newsletters are easy, templated tactics that also allow you to get creative with your content. In your newsletter, you can include current homes for sale, client testimonials, fun personal facts, and local events. There are pros and cons to paying for advertisements, whether about your real estate business or your current properties. If you do choose to pay for advertisements, such as social media ads, banner ads, or even native ads, be sure you’re targeting the correct geographical locations (since you’d likely not work with clients hundreds of miles away). Consider paying for ads on local interior design site or family-oriented blogs, or even on your own personal real estate blog. That way, you can know your advertisements are being seen by valuable audiences. In the real estate world, traditional marketing methods are hardly outdated. This is for a few reasons. Firstly, real estate is a heavily location-based industry. While it might not make sense for an e-commerce business to market in local magazines or on bus benches, it would for local real estate agents looking to work with people in the area. Secondly, traditional marketing methods can be more cost-effective and produce a greater ROI, especially when marketing locally. Test out a few of these strategies and see what works best for you. Business cards are another non-negotiable for real estate agents. Between open houses, local events, and simply running into people on the street, you’ll likely always be in need of a business card that has your phone number and email address. Real estate business cards also give you a chance to show your personality and stay top-of-mind with potential clients. Postcards, on the other hand, are super effective for marketing homes for sale. Not only is there ample space for photos and text, but real estate postcards are also easy to pass out, cheap to mail, and quick to read. Direct mailers may seem old-school, but they’re actually quite effective in the real estate industry. In fact, direct mail response rates more than doubled in the past couple years. Whether you mail postcards, personal flyers, newsletters, or other content, direct mailers are a great way to target a specific neighborhood or area in your city. It’s a tried-and-true method that can work alone or in tandem with other strategies. You can advertise locally in a few different ways. For one, you can pay for local advertisements in magazines, newsletters, bus benches, and billboards. Secondly, you can leave your postcards and business cards throughout your target area, or partner with businesses who will advertise for you for free. On the other (more creative) hand, consider contributing to local magazines or running a column of your own. This follows the same inbound methodology that blogging and guest posting does, except it targets your neighbors and local clients. It also gives you a chance to build trust with readers and potential clients. Lastly, door-knocking is another way to build awareness and market to people in your area. Door-knocking is another tried-and-true method of drumming up leads and marketing yourself and your properties for sale. Word-of-Mouth (WOM) marketing is the most effective tactic for real estate agents. In fact, 100% of all age groups are most likely to choose their agent based on referrals. That’s why we’ve made this its own section … inspiring and collecting testimonials is crucial to your business and marketing strategy. Whether you’ve worked with one client or 100 clients, always be asking for referrals and recommendations. As you finish with each client, ask for a few sentences about your service and performance as an agent, and request that they submit their testimonials to sites like Yelp, Zillow, and Realtor.com. You can publish these testimonials on your website, too. How can you ensure solid reviews? Be a great real estate agent. It’s as simple as that. Provide amazing service, do your best work, and make a great impression on clients. Consider going above and beyond with a gift at closing, so your clients will remember you. Real estate is a prime example of how current and past customers are your very best marketers. By treating each client with exceptional service, you can ensure referrals for years to come. Whether you’d like to learn more about real estate, you’re interested in becoming an agent, or you’d like to improve upon your business, we’ve got you covered. Real estate is a tricky, complex industry, but it’s nonetheless vital to our economy and lifestyle. Whether you’re someone interested in buying their first house or you’re curious about real estate as a career, it’s important to understand the real estate process and the roles both consumers and agents play in each transaction. Real estate is an industry that plays by its own rules. As technology, incomes, buying habits, and lifestyles change, real estate will only become more complex and exciting. It’s your job to stay on top of it.